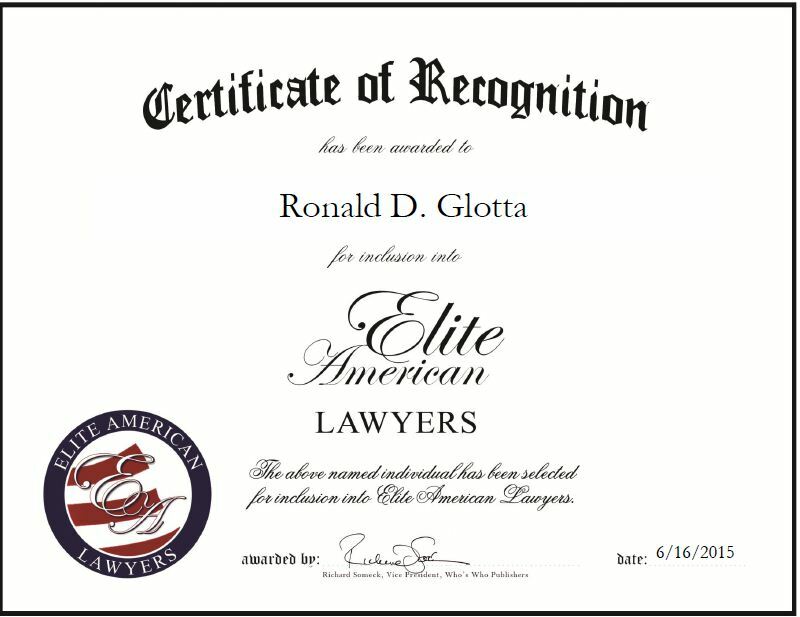 ← John A. Messina Jr.
Detroit, MI, June 16, 2015, Ronald D. Glotta, Attorney at Glotta & Associates, has been recognized by Elite American Lawyers for dedication, achievement and leadership in workers’ compensation law. Mr. Glotta always had an interest in the field. After finishing his degree in law, he was recruited by a firm specializing in worker’s compensation, and has become one of the most respected lawyers in the practice area over the past 48 years. Mr. Glotta spends his days providing clients legal services and consultations in all areas of workers’ compensation law and social security law. He is a human rights champion who is dedicated to achieving justice for his clients. 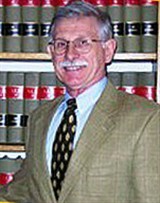 An AV Preeminent Attorney through Martindale-Hubbell, Mr. Glotta has spoken at the University of Chicago, the University of Michigan, Harvard University, and Hastings University, and has been quoted in “Muscle and Blood” by Rachel Scott, “Black Rage” by William Grier, “Whose Detroit? Politics, Labor, and Race in a Modern American City” by Heather Thompson, and “Detroit: I Do Mind Dying: A Study in Urban Revolution” by Dan Georgakis and Marvin Surkin. Mr. Glotta is also an established author who recently published, “The Road To Hell Is Not Paved With Good Intentions.” He has achieved tremendous success over the course of his career and attributes that success to his compassion with militancy, and desire to make a difference. This entry was posted in Workers' Compensation and tagged author, AV Preeminent Attorney, consultations, human rights, militancy, social security law, speaker. Bookmark the permalink.